New York City, the marijuana arrest capital of the world, is reportedly poised to pull back its longstanding, controversial policy regarding marijuana arrests and make possession of small amounts just a ticketable offense. 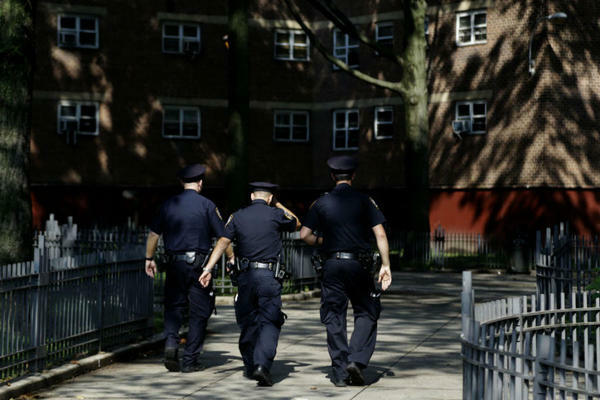 NEW YORK — The New York Police Department, the largest and most influential police force in the United States, is reportedly set to reform one of its most controversial street tactics in minority neighborhoods: busting those found with small amounts of pot. For nearly two decades, New York City has been the marijuana arrest capital of the world, booking hundreds of thousands of people – the vast majority of them black and Latino young men – and charging them with felony-level crimes for possessing small amounts of the drug. NYPD officials now say its officers will only issue summonses, akin to speeding tickets, to those caught with a sandwich-size bag or less of the drug, according to a report in The New York Times Monday morning. The shift in tactics represents a major victory for reformers, who have argued for years that the NYPD’s selectively aggressive crackdowns disproportionately targeted communities of color. Of the nearly 650,000 marijuana-possession arrests from 1996 to 2013 in New York City, about 550,000, or 85 percent, have involved blacks or Latinos. As a candidate, now-Mayor Bill de Blasio was an outspoken critic of the NYPD’s tactics, and he vowed to end the city’s decades-long crusade against marijuana possession, saying these felony arrests were “unjust and wrong.” The arrests had “disastrous consequences for individuals and families,” making it difficult to secure student financial aid, stable housing, and good jobs. Yet even as the nation’s attitudes toward marijuana have undergone a seismic shift in recent years – voters in four states and Washington, D.C., have approved the recreational use of the drug, and 23 states permit the use of marijuana for medical purposes – New York has continued its aggressive record of arrests. Mr. de Blasio swept into office with the overwhelming support of minority communities, but he nevertheless had to calm the ire of a police force bristling under his criticism. So the mayor brought back Commissioner William Bratton, the original architect of the city’s marijuana arrest crusade during his first tour as commissioner under former Mayor Rudolph Giuliani. Before Commissioner Bratton first took the reins of the NYPD in 1994, the department had been arresting only about 2,000 people a year for possessing pot, or about 34,000 total from 1981 to 1995. But under Bratton’s “broken windows” theory of policing, which targets low-level crimes to establish a sense of law and order, low-level marijuana possession became an NYPD focus in high-crime neighborhoods. Bolstered by dramatic drops in crime, such arrests soon reached over 50,000 a year, and Bratton was celebrated as the top cop in the country. Even so, such low-level pot possession had been decriminalized by New York State since 1977, when carrying small amounts was made just a ticketable offense – unless it was used in public or displayed “in open view,” which was a felony misdemeanor. The NYPD used this as a tactical loophole, and as it ramped up its controversial “stop, question, and frisk” street policing practices, officers would order those stopped to empty their pockets or bags. If the person took out any marijuana – even in trace amounts – police would arrest and cuff the person and bring them to the station for booking. But this selective practice has been used almost exclusively in high-crime minority neighborhoods – a practice that has continued under the administration of de Blasio and Bratton. The NYPD’s major shift in street tactics – which the mayor will sort out with law enforcement officials this week, the Times reports – comes amid increasing pressure from critics after the recent resignations of the department’s highest-ranking black officer and top Latino official.